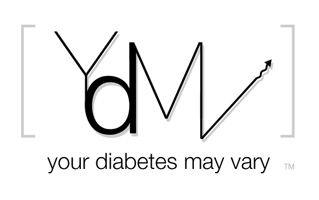 Your Diabetes May Vary: From the News Wire: Pod People Earnings Call. Insulet Corp’s (aka Omni Pod) earning call transcript is up at Seeking Alpha. CGM is taking longer than they hoped. Next Generation goal is 40% smaller 25% cheaper to produce in 2010. Just a pipeline question. Can you give us an update on where the CGM development is going right now and when we can expect perhaps a first milestone? Sure. I think it's taken longer than we thought. Both companies have come back to us. They originally going to submit the PMA. They've asked us now to submit the PMA and we are in the process of evaluating the cost and the timeline if we have to do that. So it's going slower than we thought. Our hope is still that we're into the FDA next year, but it has gone slower than we had anticipated. CGM also came up in a reply about Podd’s share of the pump market at large centers. The reply was that when the Omni Pod looses a sale in those competitive markets a lot of times it a function of a close loop dream. If you take a look – if you just give me some sense, if you take a look at some of the numbers and you can take exception to a couple of these if you like, but from looking at the various reports out there, there is 30,000 to 35,000 new customers, new pumpers a year. You start taking a look at the kind of numbers that we're putting on there as an overall basis, we're getting a very, very large percentage of those new customers. So and in the top centers, look, at the end of the day, for the most part, if we lose out at the top center, it circles around the dream of continuous sensing in a whole closed loop system, because we're not positioned at the moment to take advantage of that. But ultimately we think we have a better solution than what's out there. For Pod users the big news is a significant shift in production to China. Reportedly the quality of the product from China is slightly better than the US production. Here are a couple of quotes dredged up from the whole. In the second quarter, approximately 80% of our production came out of Bedford, with the remainder from China. In the most recent quarter, the inverse is the case, with approximately 85% of our production coming from China. This was a swift and impressive transition and I'm proud of our accomplishment. So, it's a good question, Mike, but you have to take a look at it. The bottom line is we're carrying four months worth of inventory. So what we produced in the third quarter has not hit the P&L. It is gonna get smaller. I think that is a good thing. Okay. And then the last item and I'll let some one else jump in here. But could you just update us on the progress of the next generation Pod and when we should start thinking about that coming to market and the profitability profile of that product? Thanks. A lot of financial talk about cost, inventories P&L etc. Apparently the unit cost of a Pod was originally about 70 bucks and is expected to be less than $20 soon. The cost of the silver in the battery is significant. There is a trial under way for a sub set of T2’s who use U500. Analysts ask the same question numerous times. I don’t know if that is because they don’t pay attention to other peoples questions, have the attention spans of three year olds or they are fishing for details, probably a little of all three.